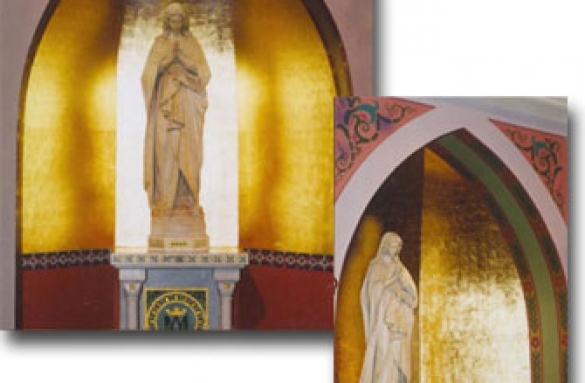 The careful application of 24-karat gold leaf can enhance devotional spaces. 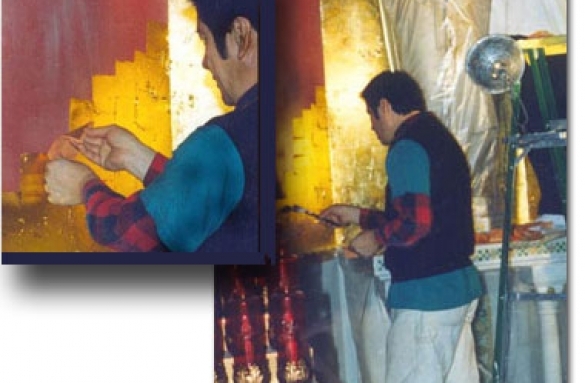 Pictured here is an industry leading artist applying 24-karat gold leaf to a shrine at St. Dominick’s Church in Oyster Bay. We specialize in decorative stencils as well as fine art painting and decorating. 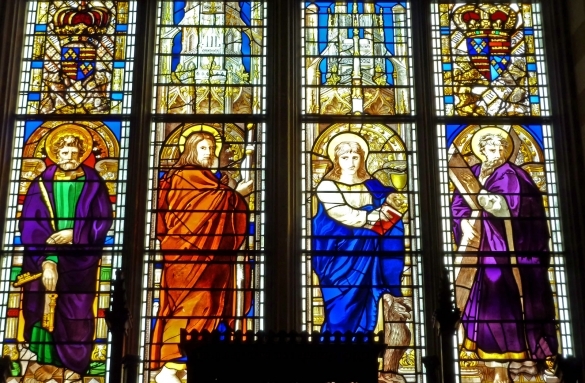 Cave Company will examine your existing Stained Glass and prepare a proposal to restore as well as repair and weatherproof your precious leaded glass windows. We also are capable of fabricating anything new from your ideas, drawings or imagination. Kindly contact us with your ideas and needs!